After bluntly announcing that he was retiring from fighting earlier this week, UFC star Conor McGregor promised fans via Twitter “no more games” on Thursday. The 27-year-old from Dublin, Ireland, went on to blast the media rounds that are expected of all high profile sports stars. “Sitting in a car on the way to some dump in Connecticut or somewhere, to speak to Tim and Suzie on the nobody gives a f-ck morning show did not get me this life,” he wrote, possibly referring to ESPN’s base in Bristol, Connecticut. UFC President Dana White also reacted to speculation over McGregor’s retirement tweet by appearing on “SportsCenter” on Tuesday. “We pulled Conor McGregor from UFC 200, we’re working on other fights right now,” White told ESPN’s flagship show. 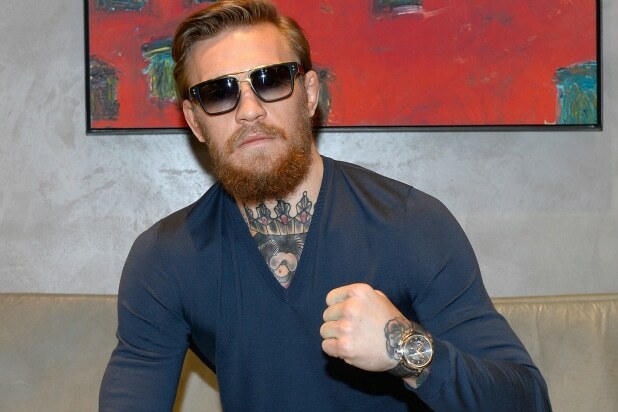 “Conor did not want to come to Las Vegas and film the commercial and be a part of the marketing. He’s in Iceland training. It looks like the highly-anticipated fight is back on again … for now. See his McGregor’s Facebook post and prior tweet below. I am going to release a statement shortly.